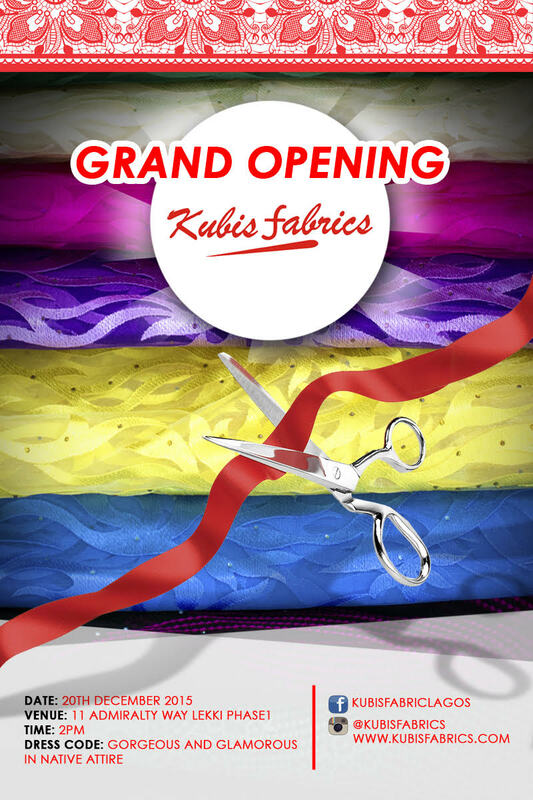 Kubis Fabrics to open new showroom in Lekki An Event You Should Attend! With the holidays around the corner, there’s bound to be non-stop celebrations and partying. We can imagine you’ll be searching for that perfect look to make you stand out. Not to worry, Kubis Fabrics is here for you with beautiful pieces to cater to your style needs. We would like to invite you, your family and friends to the official opening of our Lekki showroom.